My heart goes out to all the stories I have read thus far. I have a similar yet different story than some. I didn't see anyone mention Gastric Bypass Surgery as a resort and now again fighting PCOS. I most likely had PCOS since I hit puberty and have many family members who do too but it was not diagnosed. I always knew there was something wrong with my body but no one would really listen. Fast forward to age 19 was put on BC for first time (Norplant) and gained 30 lbs before I even knew what hit me. Didn't change my symptoms of PCOS at all and once I tried to get it removed a couple of capsules broke. I feel with that and the new weight that set more of the weight gain component into motion and I started gaining (literally) 10 lbs a week. Despite my eating "Atkins and Zone" and starting my new-found love affair with protein drinks (LOL) AND exercising with my husband for 60 minutes a day I continued to gain quickly. I lost only self-esteem and dignity and the patience of my new husband. I gained 140 lbs in a year. I was tossed around to many doctors for a year before finding one who said, "You have PCOS, eat more protein and drink less water and take this spironolactone." I didn't understand what I had; I was exhausted physically and mentally with the whole process and just beat down from all the issues. I didn't know he was trying to tell me I had PCOS and how to manage it...he didn't really say that, he just brushed me off like saying I have high blood pressure. I lost 90 lbs and became pregnant with my first child. I still didn't understand PCOS so I gained the 90 lbs. back during pregnancy and continued to gain after giving birth. My hormones were whacked out and my self esteem was gone. I hadn't really changed my lifestyle and just yo-yo dieted out of frustration. I continued my journey to what was wrong with me by focusing even more on diet and exercise. I knew that protein worked for me but didn't know why and I knew that I couldn't eat a lot of carbs. I continued to gain weight regardless and after finding nothing else that worked I had gastric bypass surgery (open RNY) 7 years ago. I looked at it as my 12 step program like an alcoholic...only was always my drug of choice. I was almost 400 lbs and the only thing I was losing was my husband and son. I almost lost my life in surgery and spent 5 months recovering before returning back to work. I continued my "12 step program" and lost 175 lbs before getting pregnant again. I gained about 40 lbs and too much water but no one knew why I had so much water on board...because PCOS. I then tried to lose the baby weight with my gastric bypass tool and couldn't lose anything...I gained another 20 lbs!! I was told twice by my obgyn (not my favorite person) that I needed to lose weight. DUH!! I couldn't even eat very many carbs or food to begin with and was already exercising and eating 1,500 calories a day. I decided to prove to them once and for all that there was something wrong with me so I joined a gym and went "Biggest Loser" style and worked out 5 days a week sometimes twice a day and kept track of everything I ate and all my calories burned. I averaged a negative 1000 calories a day and yet after being consistent for one year I had gained 6 lbs and lost 3 inches!! How was that even possible?? I finally took myself to an endocrinologist armed with all my finding and symptoms and he took one look before I even got done pleading my case and said I have PCOS with hyperinsulinemia. I was in such shock I didn't know whether to cry out of happiness for a diagnosis or sadness for me and my young daughter who is built just like me...after all it can be hereditary. I was told to eat half of what I was and exercise more and take Metformin. I have dropped to 500-1000 calories daily with 3 days of exercise (suffered exhaustion) and with my Metformin managed to lose 30 lbs in 5 months. I do feel better but I can say it is still a slippery slope...if I eat even 100 calories too much or have too many carbs or even too much water I will put a few pounds on over night. If I workout too much I will hold water too because of inflammation. I have been trying to get to a reasonable size before adding more exercise to my joints. I still get very tired from working out too much also. 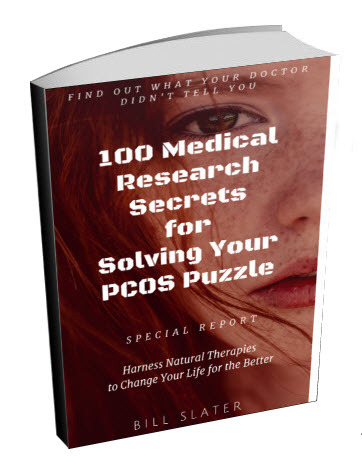 I was also diagnosed with Hashimoto's syndrome and struggle with what I think is Estrogen Dominance and all those symptoms which interchange with PCOS. I am hopeful that with additional weight loss I will see many symptoms disappear. Does anyone else suffer with PCOS, hyperinsulinemia and had Gastric Bypass BEFORE all this or some variation? I understand they are treating PCOS with gastric bypass. I wish everyone best wishes and lots of patience. Editor's comments: Wow, Kristie, what a story! I can offer a few thoughts (see the comments section of your post) but I don't know if they will be helpful. Thank you for sharing your story. I looked up gastric bypass and pcos i thankfully found your site because I have both and my surgery was the 14 of Sept 2015 and now I have a cyst in my ovary the size of a orange. We are still doing testing but I didn't know if the RNY caused the cyst due to hormone changes. It's all out of my control like my weight before the surgery. I'm blessed for the tool to lose weight and my support groups. I really appreciate you and your story. Stay strong and keep up the great but hard work. Our stories could be about the same person. Except through with heart trouble thrown in the mix for me. I can help you with a system that I use if you want. 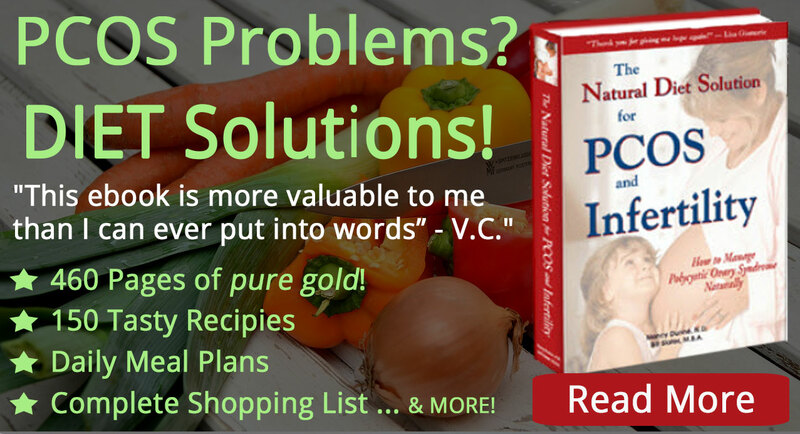 I've reduced the inflammation and symptoms in my body by about 90%. Bypass surgery will likely force considerable weight loss. The weight loss in turn should improve insulin sensitivity. The improved insulin sensitivity should help to reduce testosterone levels. Excessive testosterone is a primary cause of androgenic alopecia (hair loss). 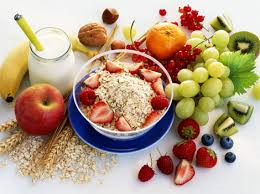 A diet consisting of healthy, whole foods should also be helpful. 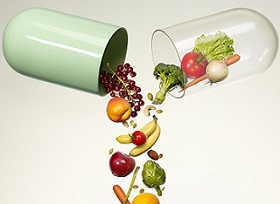 A healthier diet with optimal nutritional value is imperative after bypass. You can also view some hair loss information here. 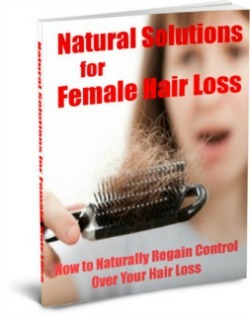 New to the site here, and I'm wondering has anybody here experienced hair loss from PCOS and did it get worse after weightloss surgery? Contemplating the surgery but afraid hair loss will get worse after the surgery. Any suggestions would be appreciated Thanks! Have you had a vitamin D test lately? 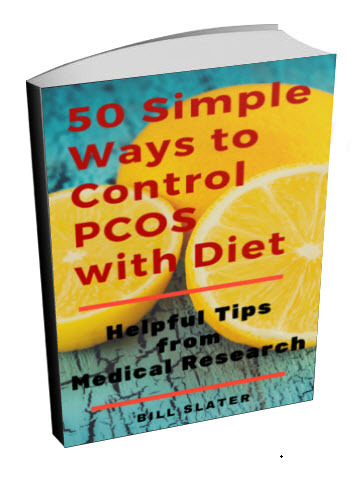 Recovery from PCOS is difficult if vitamin D levels are low. Thanks for sharing your journey. I too have PCOS and have had weight problems since puberty. I tried everything including a 500 calorie diet,2 hours of daily exercise and metformin (which I was allergic to). The weight just kept piling on. I was infertile, but with the help of modern medicine was able to conceive and birth children. The aftermath was not pretty though. At 380lbs, with diabetes, high blood pressure, kidney and liver problems, I needed to get the weight off quick to live. So, I had rou-n-y bariatric surgery. 72 hours after surgery, my stomach stopped sending signals to my brain and the diabetes was gone, this happened way before the weight came off. Worth noting 5 months before surgery I started taking 1 Trader Joe multivitamin, 12,000 IU of Vit D, 1200 units of Calcium Citrate and 1000 IU B12 in morning and 500mg of Vitamin C and 100mg of iron. Within a month I started having a regular period (age 37) something I had never, ever had before. Also worth noting, after bariatric surgery I noticed that if I didn't take my Vitamin D and calcium together, I didn't lose weight, even with bariatric surgery. I am 10 months out from surgery and have lost 100 lbs. since having had the surgery. I don't presume I will ever be 160 lbs, but am happy with 216 and wearing a size 16, something I haven't done since I was 14. I have PCOS and your battle with weight lose is very much like mine and alot of others, I have been doing research and I am considering the lap band....I have read that it has been helpful with PCOS patients due to the fact that if u can get the weight off it can reduce your insulin Resistance and lessens your symptoms.. I need to lose 60 pounds to be at my weight range. I have been given Met for my PCOS but decided to go a more natural route after hearing about alot of the side effects..I take 1 tsp cinnamon twice a day and 1000 mcg of Chromium and it seems to do the dame trick. Wow, Kristie, what a story! I can offer a few thoughts but I don't know if they will be helpful. 1) Is your thyroid medication correct? You might check your basal body temperature (before you get out of bed in the morning) for a few weeks and see if your body temperature averages below normal. If so, that is one possible indicator that your thyroid hormone replacement therapy may need to be adjusted. 2) Get a vitamin D test. Women who have PCOS and are overweight are frequently deficient in vitamin D. Optimal vitamin D levels will be helpful in a number of ways. 3) The bypass has made your stomach smaller, so you need to be extra alert to eat only the highest quality, whole foods. 4) I assume the carbs you're consuming are ALL low-glycemic? 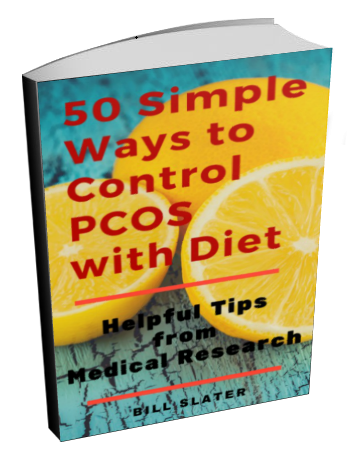 We just published an article on this topic, called: Tame the PCOS Dragon with a Lower Glycemic Load. 5) A better predictor of your health and progress against PCOS (in my opinion) is your waist circumference, not your total weight. The fat we're really concerned about is belly fat. That fat is a product of insulin resistance and stress hormones produced from chronic stress. 6) I suspect fish oil would be beneficial for a bunch of reasons I don't have the space for here. 7) L-carnitine is helpful for transporting fats into the muscles for energy production. For this reason, it is often referred to as a "fat burning" nutrient. 8) You asked, "I averaged a negative 1000 calories a day and yet after being consistent for one year I had gained 6 lbs and lost 3 inches!! How was that even possible??" 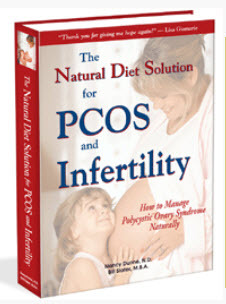 That's explained in this PCOS diet e-book. Basically, you were burning off fat from the very low calorie diet and gaining muscle mass from exercising at the same time. Muscle tissue is much, much heavier than fat tissue, but takes up less space. That is why you "shrank" even though your weight even went up a little. 9) See if you can find some kind of low-impact exercise that you can do right now, without putting too much of a strain on your joints. Cycling and swimming are two examples. I'm sure you can think of some others. Also, walking is a remarkably effective fitness and mild weight loss method, if you stay at it and incrementally increase the distance walked every single day.